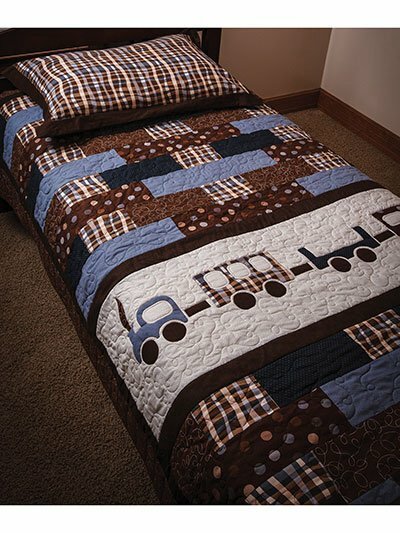 This twin-size, beginner-friendly quilt is ideal for stitching together for that sweet little one in your life that loves trains! Full-size applique templates are included. Finished size is 62" x 86".